When is Refinancing a Home a Smart Choice? When is refinancing the right choice for borrowers? Many homeowners are enticed by lower residential financing rates – 3.75 percent for the 30-year fixed-rate mortgage as of March 5, according to Freddie Mac – and refinancing in search of more favorable terms can certainly feel appealing. However, there is a cost to refinancing, and therefore it’s important to refinance when it makes the most sense for homeowners’ current financial situations and long-term plans. The Housing Finance Policy Center at the Urban Institute recently looked at Federal Housing Administration loans to see if a drop in insurance premiums could result in cost savings. The answer for many is yes. Even though the new annual Mortgage Insurance Premium has dropped from 1.35 percent to 0.85 percent, according to the Urban Institute, FHA borrowers can still save money by refinancing. When looking at millions of FHA loans, the researchers found that refinancing could amount to a 0.75 drop in yearly mortgage costs per borrower. While not all borrowers have an FHA loan, of course, homeowners in this scenario could benefit from refinancing today. Another time when refinancing makes sense is if the homeowner doesn’t plan on moving for a long time. Since refinancing alters the terms and interest rate, the most savings are found over time. Moving right after refinancing typically prevents the borrower from recouping their refinancing expenses. However homeowners that intend to stay put can benefit from this strategy. Adjustable-rate mortgages can attract a wide range of buyers due to the lower beginning rate. However, adjustable rate mortgages could end up costing more in the long run due to the unpredictability of the floating rate. 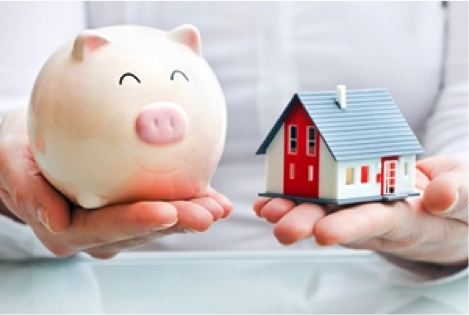 When fixed-rates are low, borrowers can benefit greatly from refinancing from an ARM to an FRM. Once again, it is important that the homeowner intends to live in that home for some time. If they do, getting away from an adjustable rate can really add up the savings. Homeowners that purchase homes with less than 20 percent down often end up with private mortgage insurance and consequently, a slightly more expensive monthly mortgage bill. These borrowers may be right for a refinance. Once they have 20 percent equity, they can refinance and set new terms – without PMI, potentially saving them a decent chunk of change each month. Overall, borrowers shouldn’t refinance simply because the 15- or 30-year FRM dropped again. They should analyze their own individual scenario and weigh the cost of refinancing against the cost of holding a higher rate mortgage, while keeping their long term plans in mind. What works for one person may not work for another, but looking at the big picture – and making the right calculations – can highlight when refinancing is a smart decision. Questions about refinancing your home? Contact Sibcy Cline Mortgage Services. This entry was posted in Mortgages and tagged HMS Home Warranty, Refinancing a home, Sibcy Cline Home Services by susanaknabe. Bookmark the permalink.